Created to illuminate the most inaccessible of spaces, the MAGflex Pivot combines a slim design with multi-axis rotation and tilt, meaning light can be directed exactly where required while flexible mounting options allow hands-free working. 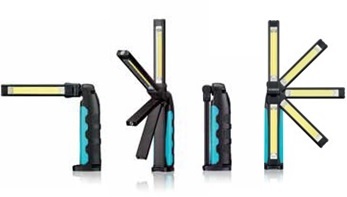 The MAGflex Pivot combines small size with powerful light. This foldable lamp was designed to be very practical, efficient and small to integrate ideally into the world of workshops. It emits an exceptional brightness of up to 400 lumens of white light close to natural light (6000K), for comfortable working conditions. 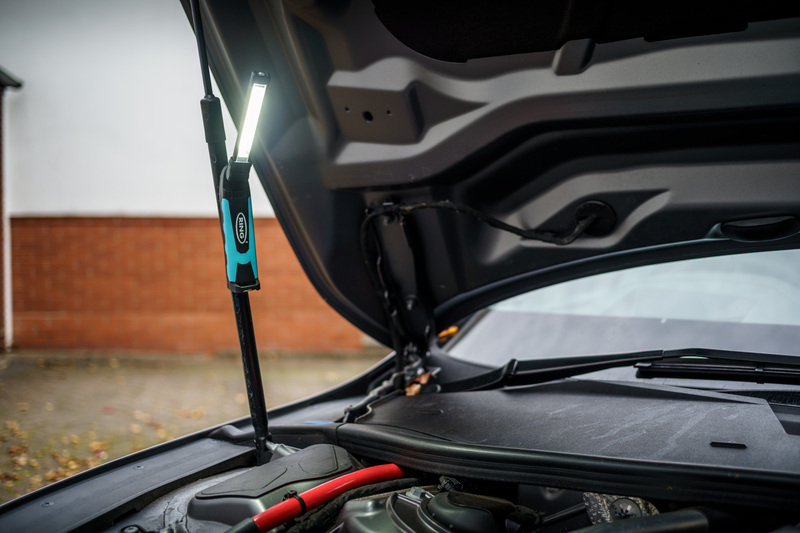 It is equipped with various hanging devices, including magnets, which allows hands-free use, a very practical advantage in a workshop environment, especially when working with the hood open or underneath a vehicle in a garage bay. Rechargeable and cordless, the lamp comes with several rechargeable replacement batteries. Easily control the light level using the dimmer on/off switch. This makes it possible to provide the best light exposure for each work situation, thus avoiding overexposure and glare or underexposure and associated difficulties. 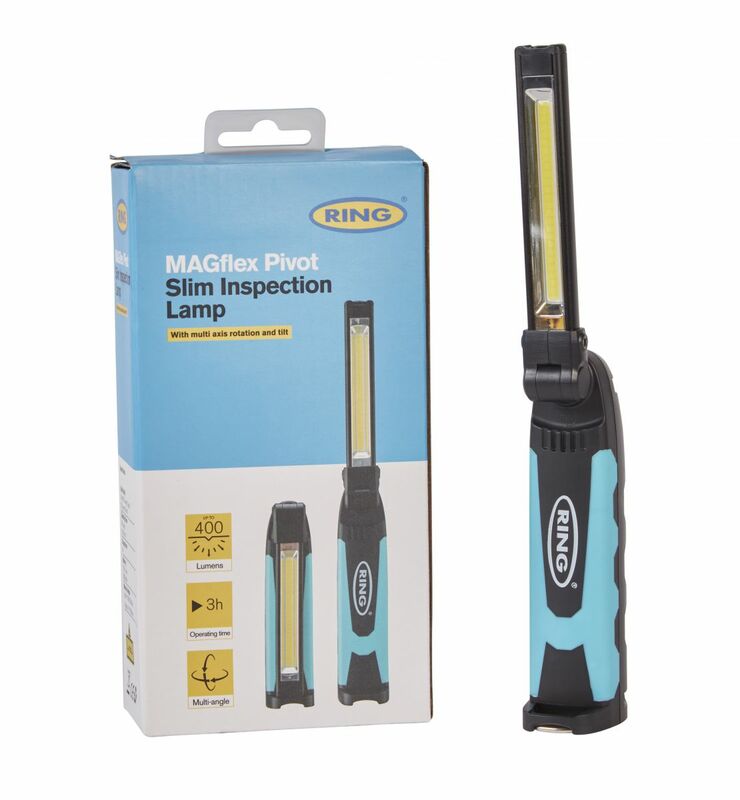 Jim Gross, Product Manager of the MAGflex Pivot, as well as the rest of Ring’s inspection lighting range added: “The MAGflex Pivot has been designed and developed keeping in mind all the constraints of workshop work: perfect brightness, very compact design, foldable, adjustable to reach the most difficult places, only 6 mm thick with a white and comfortable LED light.”. 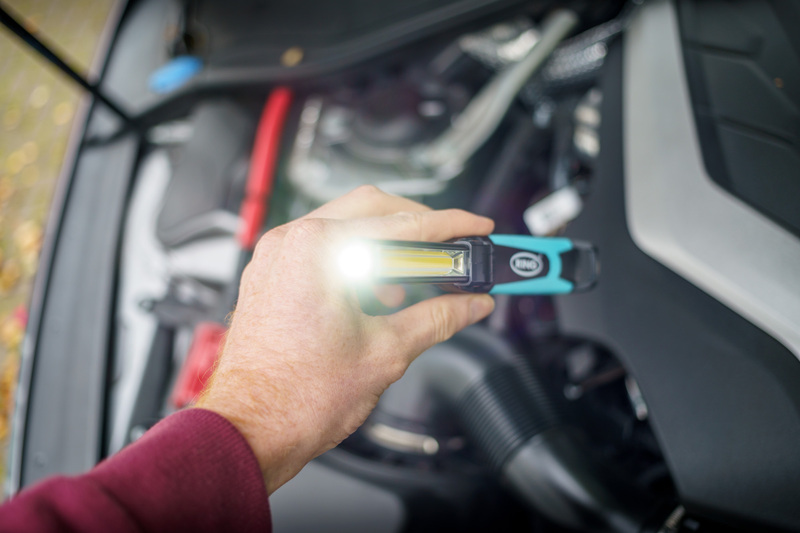 The MAGflex Pivot is part of the MAGflex range, a well-known range that has won numerous awards and is recognised by the professional world of automotive repairs. The MAGflex Pivot, like all Ring Automotive products, has passed the RING ISO:9001 laboratory tests to ensure that it meets all the quality standards demanded by customers. 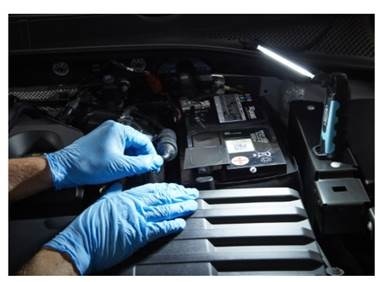 Ring Automotive, founded in England more than 40 years ago, is today one of the world's leading suppliers of automotive lighting and electrical accessories for vehicles. 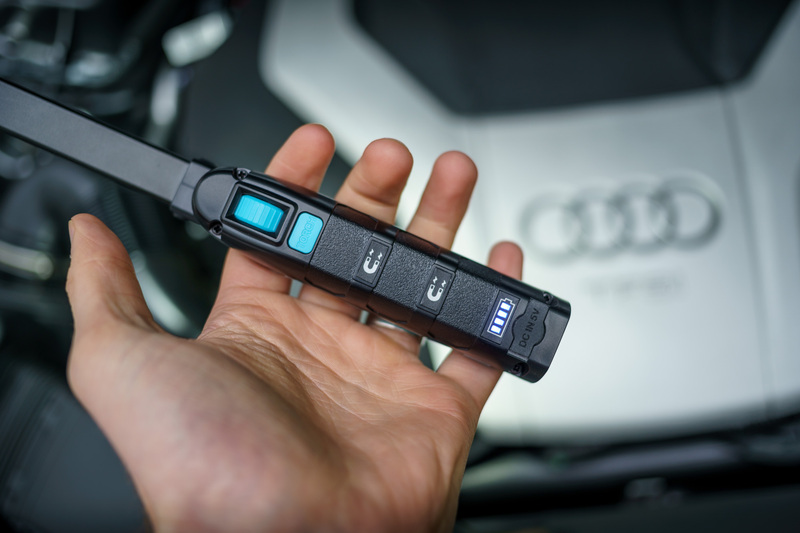 Constantly at the forefront of innovation, its products are now distributed in more than 70 countries.